One of the best flavors for summer is peppermint. I find it so refreshing! I often add fresh mint leaves to my iced tea and make lots of homemade mint ice cream, but sometimes I take it to the sweet side and use mint candy to flavor my treats. 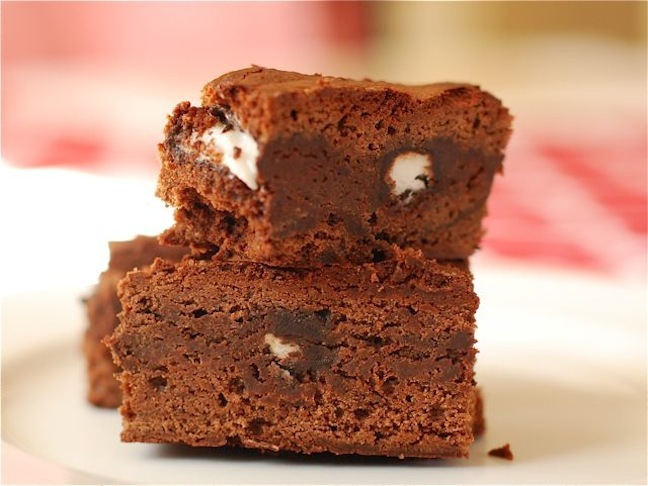 One of my favorite ways to do this is add a layer of York Peppermint Patties in the middle of my brownie batter before baking them. Every bite has just the right amount of peppermint zing nestled in the soft chocolate batter. Here is how I make these simple sweet treats! Prepare the batter according to directions. Pour 3/4 of the batter into the correct sized pan. Add a layer of unwrapped patties so that the edges are touching. Then pour the rest of the batter on top. Bake according to directions and remove from the oven when a cake tester comes out clean. Serve!